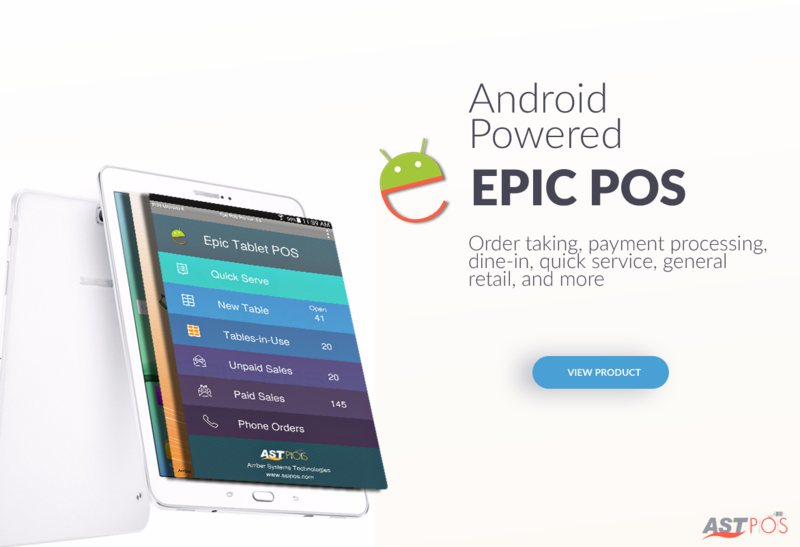 Epic POS Lite is the complete Android POS tablet solution that stands by itself. Made for Android tablets, Epic POS Lite is truly a standalone unit, needing neither WiFi nor a POS station to be functional. Just grab it and go, Epic POS Lite is ready for service! Truly independent, Epic POS Lite saves business owners money by reducing overhead expenses- all it needs is an Android tablet to run on. No hassle and no extra expenses translates to a happier you- plus a little extra cash. Epic POS Lite is the tablet solution you need. 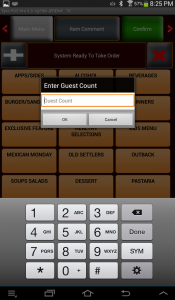 The most complete, efficient, reliable and affordable mobile Android POS in the market today. Servers can take orders at the table directly, cutting down wait times and leading to happier customers and more business. No main POS station needed. 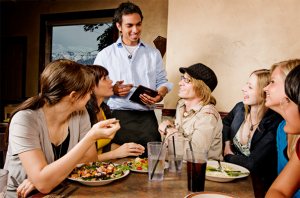 Payment processing also becomes a no-hassle procedure as Epic POS allows for table side credit card charging. All you need is a credit card swiper, which easily attaches to the Android tablet. Epic POS supports a wide array of features: table service, quick service, eat-in and to-go options, cash and credit card processing, split bill, gift cards, print bill, and more! 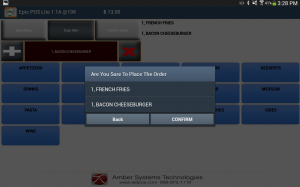 Epic POS is sure to meet all of your business needs. 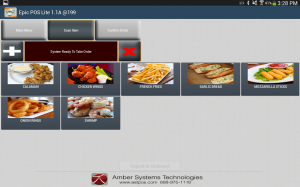 Allows Servers to Start New table and Take orders. Allows Servers to Add items to Open table. Allows Servers to Input Item Comments. 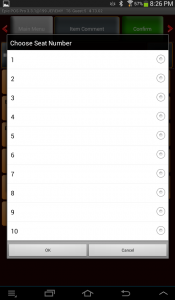 Allows to Assign the Seat Number to each Item. Allows Servers to Adjust Quantities of Selected item. Allows Servers to cancel item. Allows Servers to confirm orders and have orders tickets printed. Allows Assignment of device to Servers. Allows Servers to take Quick Orders. Allows Servers to Process Cash and Credit card Payments. Allows Servers to Split Bill. Allows Servers to take Gift Cards.